You know it’s finally spring when you hear the sound of lawn mowers firing up to cut the first growth of new grass. But before you head out to trim the lawn, remember: Lawn mowers are powerful and potentially dangerous tools. Every year in the U.S., thousands of people—many of them children—suffer deep cuts, crushed bones, burns, and amputated fingers and toes because of lawn mower injuries. And these injuries are often avoidable. 1. Maintain your mower. Be sure it’s working properly by getting it serviced before use each spring. 2. Check conditions. Don’t cut wet grass—it raises the risk of injuries. 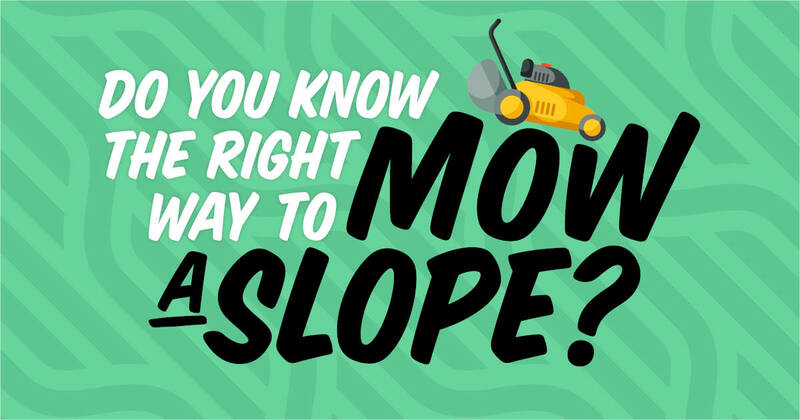 You could slip and fall, or the mower itself might slip on an incline. 3. Clear debris. Remove any object (sticks, stones, toys, etc.) that could be picked up and thrown by the mower’s blades. Debris can be spewed out at speeds up to 100 miles per hour. 4. Dress with caution. Wear protective gloves, goggles and long pants when mowing. Choose sturdy, closed-toe shoes—not flip-flops, sandals or bare feet. 5. Stay focused. Hold off on phone chats and texting while cutting grass. Ditto for listening to music. Keep your eyes and ears tuned in to your surroundings. 6. Protect your limbs. Use a stick, broom or other long object (not your hands or feet) to remove debris if the mower becomes jammed. That’s a must even if the engine is off: Once you clear obstructive debris, the blade can quickly turn around and severely injure you. 7. Mow slopes the right way. Mow across them with a push mower. You’ll avoid pulling the mower over your feet if you slip. Mow up and down slopes with a ride-on mower. That will keep it from tipping. Don’t let kids ride with you on mowers, even if you’re the parent. Just a small bump can toss kids off ride-on mowers and into danger. Don’t let kids younger than 12 operate push mowers or those younger than 16 operate ride-on mowers.